Struggling with setting limits with a baby? Encourage her curiosity while establishing boundaries to keep her safe as she begins to explore. My baby—once so small he felt like a swaddled blob over my shoulder—is now all over the place. At 10 months old, he’s crawling everywhere, giving me a heart attack with each turn. He pulls himself up on shelves and curtains. He wants to keep playing instead of sleep. How can parents set limits with our now mobile baby—and should we? I’m not a fan of discipline in the typical sense. Things like time outs, counting to three, slapping the hand. Discipline is teaching our kids how to behave, not a power struggle or a plan to isolate our kids. It’s acknowledging her intentions, showing empathy, and guiding her to more appropriate behavior. But first, let’s dig into why babies do that to begin with. Children—especially babies—are curious about their world. We take for granted how much we know that our kids still don’t. They’re built to test theories and push boundaries to better understand their surroundings. A 10-month-old knocking down a pile of books loves what she just made happen. She’s not thinking about the mess she made or that you prefer a pile of books on the table instead of on the floor. She’s doing what babies do. She’s curious, not naughty. Still, we need to establish boundaries to keep them safe. We can’t let them grab the sharp pencil or stay up all hours of the night. We also want them to take care of themselves, others and certain belongings. So we set limits while honoring their intentions, needs and development. It’s a drag telling your kids “no” all day long. Instead of catching them in the act of doing something wrong, prevent them from doing so in the first place. Give your baby the freedom to explore within a safe space. One of the easiest ways to do this is through baby proofing your home (or even a section of your home). Rather than telling my kids not to open kitchen cabinets, I placed locks so they couldn’t open them at all. I set breakables, valuables or dangerous items out of reach. Another way to let her explore in a safe space is by giving her things she’s allowed to play with. If she’s adamant about throwing things around the house, hand her soft toys and balls instead. You’re creating an environment for her to explore without telling her to stop or not do something. Learn what to do when it feels like you tell your child “no” all day. Give your child a safe space to explore within safe boundaries. 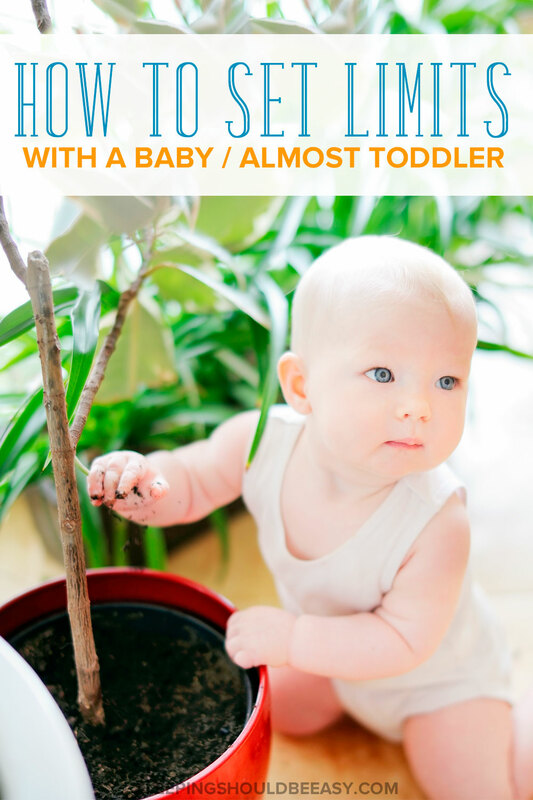 Redirecting your baby to a more appropriate activity is a fantastic way to keep her out of trouble. And unlike distraction, you’re still honoring her intentions and showing empathy. If you have a chance, use redirection to set limits. That way, you’re not stifling her curiosity, just channeling it towards an acceptable way. 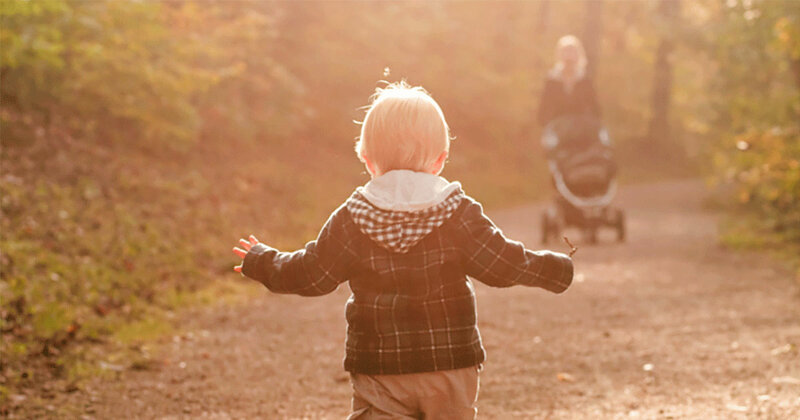 Read more about how to use redirection to manage your child’s behavior. How you communicate with your baby makes a huge difference whether she follow through or not. Keep your reactions minimal. For one thing, you don’t want to scare or startle her into thinking she’s a bad person. And second, she’ll wonder how and why she managed to get a reaction from you. Reserve your stern reactions for safety-related issues, and even then, maintain a loving demeanor. She’s wired to explore and needs you to guide her to what’s allowed and not. Keep your sentences short, firm and low, but don’t take it so far as to shaming her. A clean and well-rested baby is more likely to listen than if she were tired and needing your attention. Read more about curbing misbehehavior by meeting your child’s needs. You and your partner will have different thresholds for what’s allowed or not. One parent might be okay with giving the pacifier during the day while the other wants it only at night. One allows the baby to play with an old cell phone while the other prefers that she doesn’t. Once you notice a discrepancy, decide right away what to do moving forward. Nothing confuses a child more than inconsistent rules between parents. So when one parent takes away the cell phone, she throws a fit because the other one allowed her to have it. But I held back and asked myself if it’s that bad. Yes, the toy wasn’t made for standing. But him standing on it wasn’t going to break it. It wasn’t dangerous, disrespectful or hurtful to others. Is it setting a bad example or precedent? Is it disrespectful to others? Is it not taking care of items or ourselves? And if the answer is no, it’s worth holding back and letting it go. By now, you learned that punishment tactics don’t work with setting limits with a baby. Instead, build a stronger connection with your child with patience and guidance. It’s normal for kids that age to test boundaries. Understanding why, empathizing and redirecting are more effective when you need to set limits. Tell me in the comments: What’s one way your child tested your boundaries when they were in the late infant and early toddler stage? 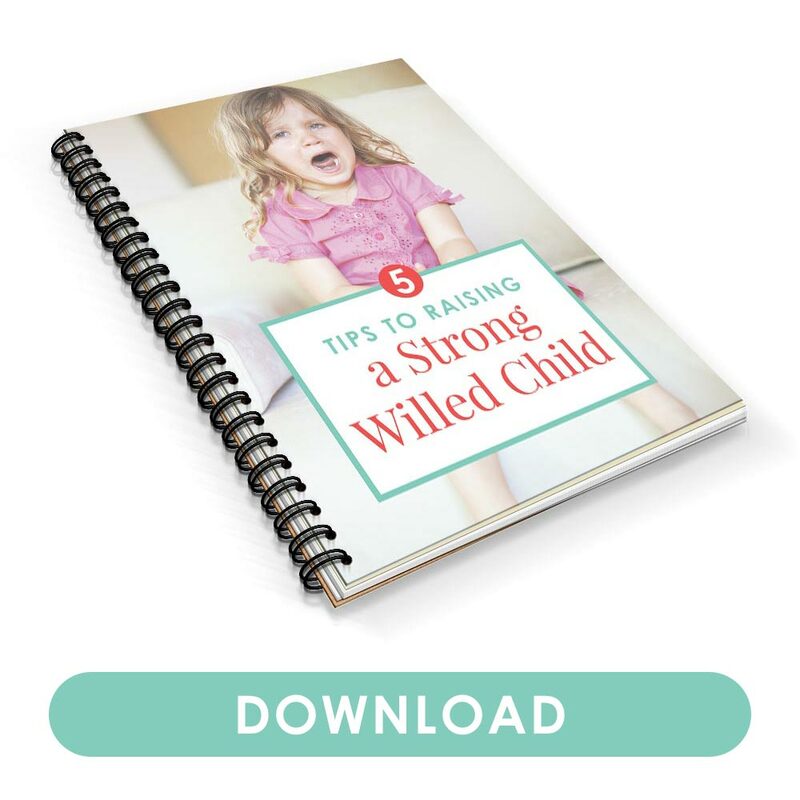 What is your biggest struggle with setting limits with a baby? Throwing food. That’s one of my least favorite games my kids liked to play at this age. I always tried to remember that they’re just figuring out cause and effect…and hand them a toy to drop instead of sticky mashed potatoes. Weirdly my kids didn’t go through the throwing food phase, though I know it’s pretty typical and normal for kids to do so. That would drive me nuts too I think! Especially if they eat crazy things like spaghetti! Such a timely article for us, as the baby just learned to army/fish crawl only a couple hours ago! Thanks for the concrete example of redirection. I’ve never seen one so clear. Aww congrats on his milestone Leslie 🙂 And thanks, I’m glad I was able to give a good example of redirection! Not sure if this is a good tactic or not, but we started making the kids do their times tables or write what they did wrong. I totally remember my fourth grade teacher making me write standards in class lol. No sad face though Dean 🙂 To each their own, I know lots of parents who do time outs. And actually taking away privileges especially if it ties in to whatever it is they did is pretty effective. Aw Betsy poor thing, but I had to laugh when you said it took her longer to walk lol. This is funny because it really doesn’t end. These are fantastic points but setting boundaries, communicating, being consistent, even redirecting… Those are still things parents need to do when kids get older. Great post. Haha I’ve heard that too, Sarah! I can only imagine once my kiddos get to an older age.